TORONTO - Manulife Financial Corp. (MFC.TO) says it is reinsuring some of its businesses and boosting the company's quarterly dividend by 14 per cent. The dividend payout - which is coming a quarter earlier than in recent years - will increase by three cents per share to 25 cents, payable as of Dec. 19 to shareholders of record at the close of business on Nov. 30. The announcements were made ahead of Manulife's release of third-quarter results after markets close next Wednesday. 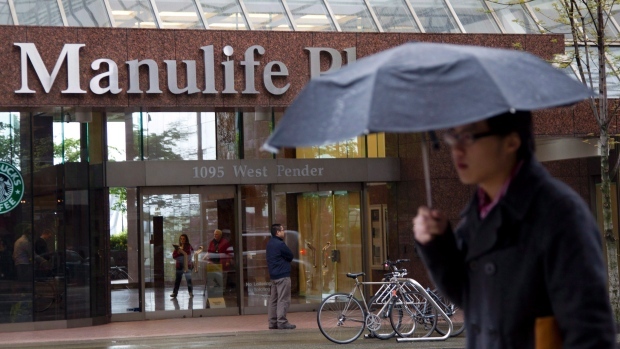 Manulife's shares have fallen about 25 per cent from their 52-week high.